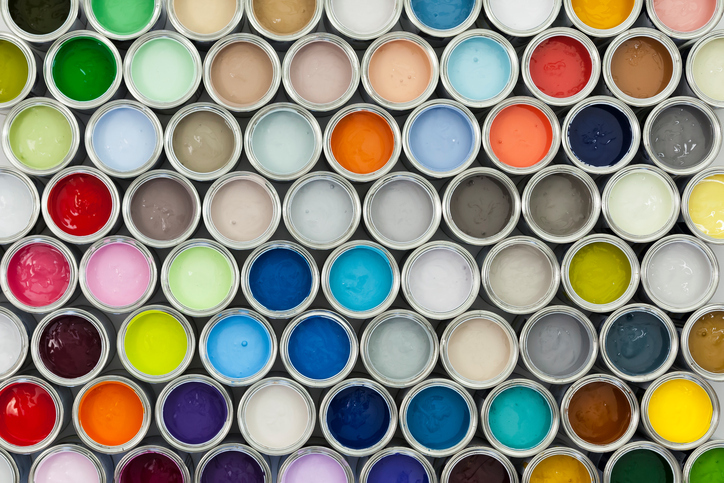 Did you know that most home improvement paint includes VOCs—volatile organic compounds? Think about the strong fumes you smell in a newly painted room, which are often so harsh you have to air out the room for a few days while avoiding it entirely. Those are VOCs—chemicals like formaldehyde and benzene—and they leach into your home every day, with the potential to cause liver damage and even cancer. Even exposure at low levels can trigger headaches, itchy eyes, scratchy throats, breathing problems, and asthma. But what about using VOC paint outdoors—whether it’s for your deck, the kids’ swingset, or your siding? Does no-VOC exterior paint matter, either to your health or to your immediate environment? More than two-thirds of the 176 million pounds of VOC emissions in California come from paints and coatings—both interior and exterior. Oil-based paints, which are more often used outdoors, contain more VOCs than water-based paints. That’s one of the reasons why oil-based paints are so hard to work with and smell so strong. In addition to VOCs, paints can contain fungicides and biocides, toxic chemicals intended to prevent mildew and extend the shelf life of the paint. Like VOCs, these chemicals can contaminate both indoor and outdoor air. Also, while the paint base might be no-VOC, the pigments used to color it might be heavily laden with VOCs. Pollution from the chemicals in paint happens in several ways: while it is being applied; as it dries; and during improper storage and disposal. 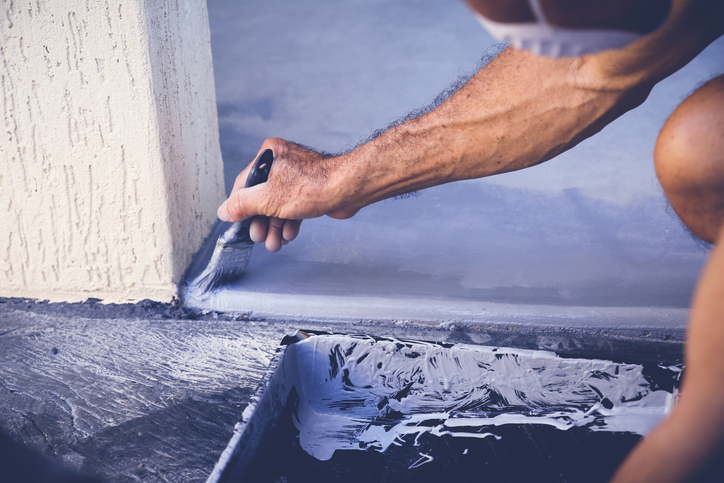 For example, paint cans or cans with lids that aren’t properly sealed can continue to leak VOCs into the atmosphere.Even though the VOCs evaporate into the outdoor air, they can still affect you, even if you’re living and working inside while the exterior is being painted. The VOCs could also contribute to smog and outdoor air pollution. This could be significant in areas that already suffer from poor air quality generally. In the summer, when smog builds up and cities and town experience air quality alerts, painting exterior surfaces with VOC laden paint could add to the air pollution. Painting with VOC paint on a windy day could also carry the chemicals into neighboring yards. Safecoat paints are free of VOC while still being effective on exterior wood surfaces. It’s important when ordering paint to specify that both the base paint and the pigments for tinting it are low- or no-VOC. Acrylic and latex paints are healthier, more eco-friendly options. Ideally, work with water-based paint, which is easiest to clean up. Use up as much paint as you buy to avoid messy disposal or accidental spills. Donate old paint so it can be used up. And store leftover paint properly so it does not leak or spill. Here are some of best no- or low-VOC exterior paint—they’re much friendlier to the environment, and safer for your personal health, too. Safecoat, a company known for its environmentally-friendly paint, says that no-VOC paints are “ideally suited for areas in which the health of occupants is of particular concern.” That includes schools, hospitals, homes, and offices. Agra Life VOC-Free Non Toxic Lumber Seal is another option for no-VOC exterior stain and waterproofing. It’s can be used on fences, patio covers, gazebos, trellises, fascia, and other wood surfaces. Though it is VOC-free, it still contains compounds needed to protect the wood against rain, sun, mold, decay, and pests. It is UV-resistant and will stop treated lumber from chemical leaching while maintaining the original look of the wood. Behr Premium Plus exterior paint is a 100% acrylic, low-VOC paint. Available at Home Depot, like other exterior paints, Behr’s resists mildew and mold, fading, and stains. EarthSafe Finishes make paints, seals, and waxes that contain no VOCs or heavy metals, no formaldehyde or phthalates, and no odor. They can be used on furniture, canvas, wood, glass, metal, plastic, tin, tile, ceramic, formica, countertops, and even plexiglass. Keep in mind that more eco-friendly paints are especially the best choice if you’re painting children’s toys, swing sets, sleds, or outdoor furniture. Whenever you paint, keep kids away from your work area so they won’t breathe in any paint fumes or get paint on their hands. Take stock of chipping or peeling paint and touch up the paint job as necessary to keep your kids safe. Here’s to a VOC-free home, both inside and out!